Warm conditions greeted all for the first Ranger vs Ranger derby of the season. Host with the most Tony “Spinner” Smith worked tirelessly all day keeping all the Ranger family watered and entertained. The baseball on the diamond was entertaining enough as both sides struggled with consistency in their fielding. More will be said about that in Rounding Third later in the week. Thanks to Nick Jonker for scoring the game on Game Changer. Below is the recap that was generated. 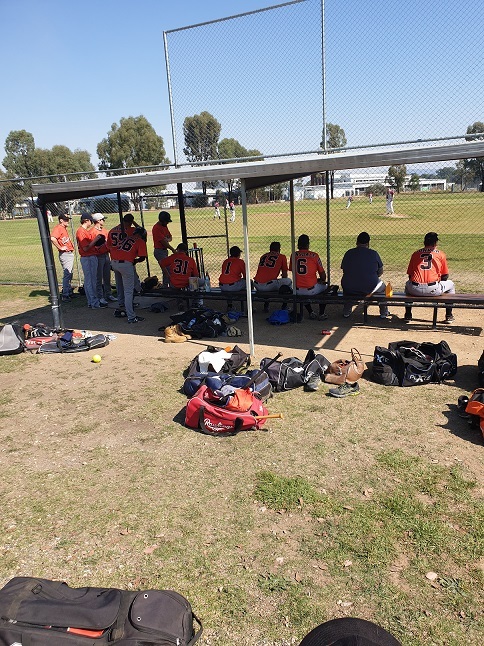 Wangaratta Rangers Orange watched the game slip away early and couldn’t recover in a 14-6 loss to Wanagratta Rangers Black on Sunday. Rangers Black scored on a single by Rob Seymour in the first inning, a single by Shaun O’Neil in the first inning, a double by Owen Godenzi in the second inning, and a error during Seymour’s at bat in the second inning. Rangers Orange collected 14 hits and Rangers Black had 20 in the high-scoring affair. Wanagratta Rangers Black got things started in the first inning when Seymour singled on a 0-1 count, scoring one run. Wangaratta Rangers Orange put up four runs in the fifth inning. The rally was led by a single by Ian Dinsdale an error on a ball put in play by Kyle Gilmore, and a double by Tetsu Kamiyama. 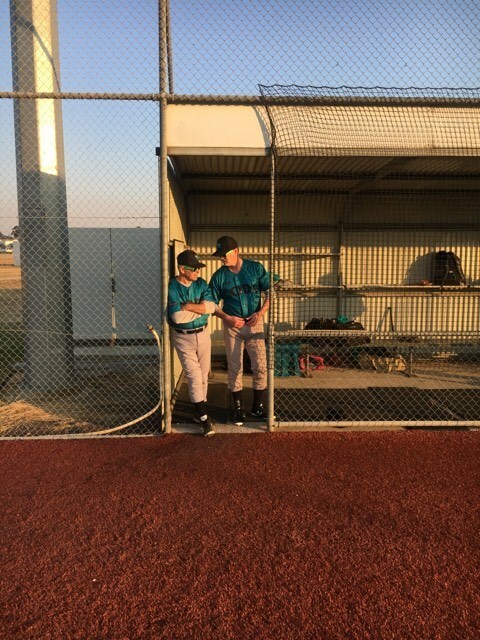 Wangratta Rangers Black scored five runs in the third inning.Jason Jonker, Cam Scott and Scott Jenkins all contributed in the big inning with RBIs. Jonker led things off on the pitcher’s mound for Wanagratta Rangers Black . They surrendered one run on three hits over three innings, striking out two and walking one. Aaron Parker led things off on the hill for Rangers Orange. They surrendered 11 runs on 14 hits over three innings, striking out one and walking one. Kamiyama and Murdoch entered the game from the bullpen, throwing two innings and two innings respectively. Rangers Orange racked up 14 hits in the game. Damien French, Kamiyama, Gilmore and Dinsdale each had multiple hits for Rangers Orange. French led Rangers Orange offense with three hits in four at bats. Wanagratta Rangers Black totaled 20 hits in the game. Scott, Ross Johnson , Seymour, Jenkins, O’Neil, and Godenzi all had multiple hits for Wanagratta Rangers Black . Scott went 4-for-5 at the plate to lead Rangers Black in hits for the day.